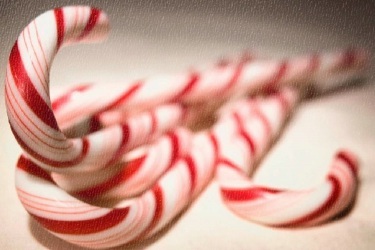 The Magic of St. Nick’s true story has always echoed through our family traditions. 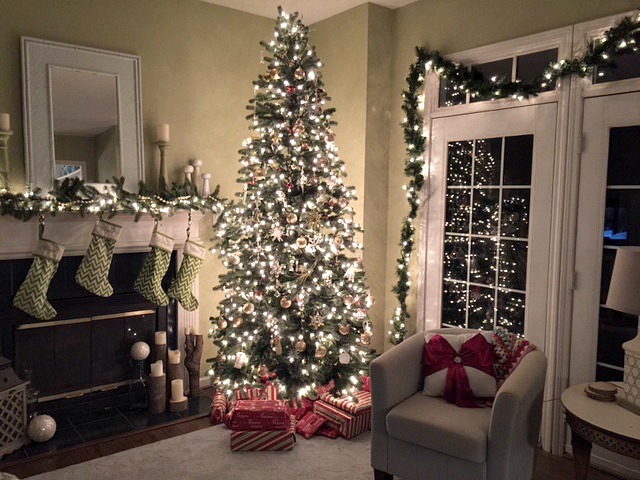 In fact, stockings that St. Nick filled still hold some of the most precious memories for our kids and that tradition continues. When they were born, I picked a unique stocking for them and they’ve used them for years. Last year, I went ahead and got matching ones for the mantle. They were shocked. I assured them I still had their good ole faithful and once they fly the nest, they’ll take them (and their own box of ornaments. I pick a personalized one for each of them every year.) to start their own Christmas tradition (read about it here). Last night, our 12 year old daughter pleaded with me that we wake up earlier this Christmas morn. She doesn’t appreciate the fact that everyone but her wants to sleep in. Tearing downstairs to see her stocking if her favorite thing, but now she has to wait patiently for all those teens that want more sleep. I make photo collages for my daughters and husband, and if I’m truly on top of it, I’ll put together a photo book of special moments throughout the year. These days, the stores make it so easy to automatically upload photos right into book format. Why not try an even more unique and creative way to use your pictures? Turn the moments into holiday décor for your mantelpiece. 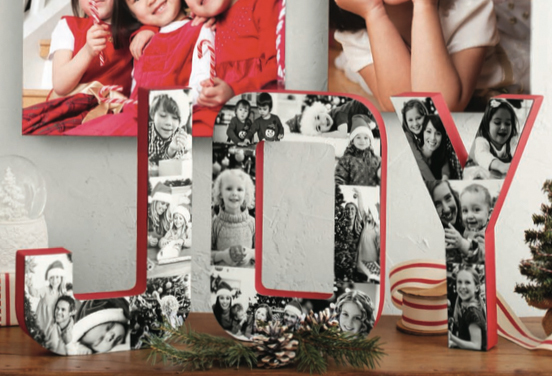 Simply upload your favorites to Walgreens , print and pick up at the store, then cut to fit onto big wood paneling or letters found at your local craft store (no framing required and don’t forget the coupon). Can I just tell you, I’ll be taking advantage of the same-day, in-store pick up available because I haven’t made my collage yet. 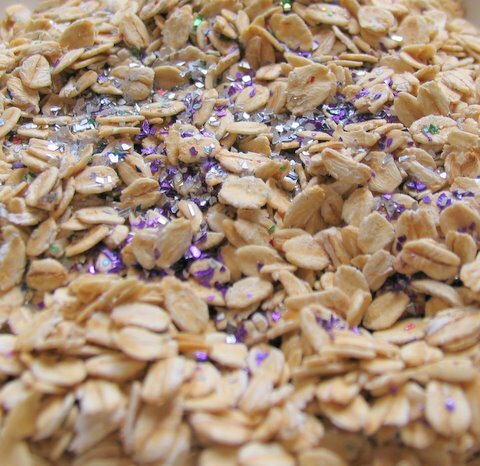 It’s that easy and these make such a wonderfully personalized gift. Aren’t these personalized coasters adorable? If you’re still searching for something extra special and only have an hour or so to spare, these DIY Photo Coaster Tiles are perfect (see my full tutorial here). 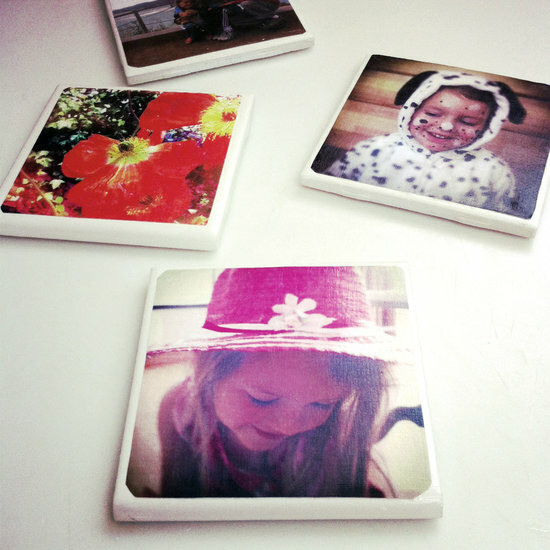 For just the cost of printing your photos and $2 in tiles, these become an heirloom type of gift and they’re so easy. Not only for Christmas, but they’d make a great birthday present for Grandma or even a wedding gift for the new couple. 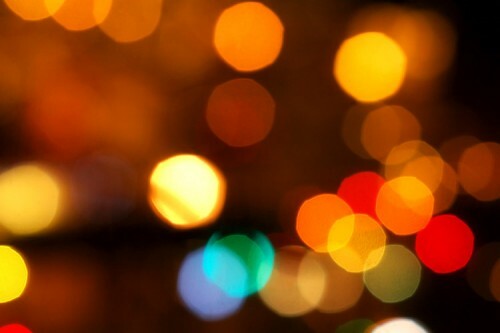 Three parties, one night: Sound familiar? Fortunately for me, I didn’t have that many this year, but I always want to give a little something special for friends, teachers, hostesses etc. No need to overthink three different gifts. 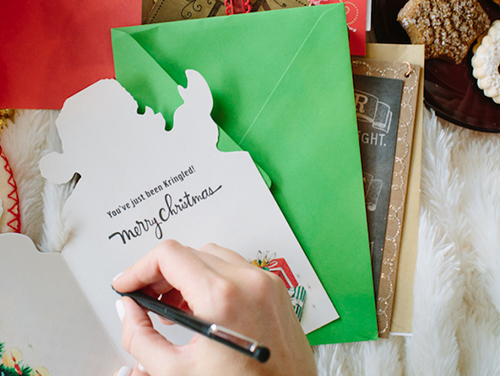 Pick up all-in-one gifts from Walgreens (like a festive sleigh brimming with chocolate treats) and be on your way. Then breeze through your neighbor’s cookie exchange on your way to your coworker’s cocktail party, stress free. If you love homemade treats, why not make some Homemade Marshmallows (everyone needs to try them at least once in their life) or whip up homemade hot chocolate mix to share. 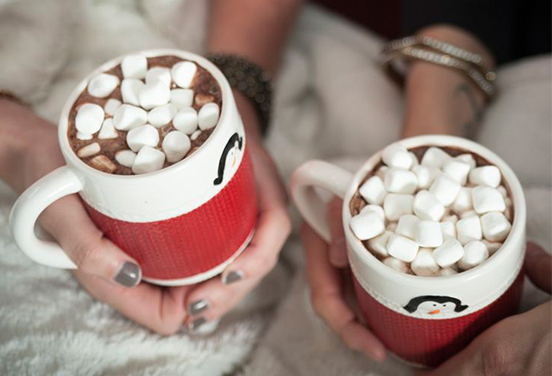 You can put the marshmallows and or hot chocolate mix in cute baggies, gather in the mugs and tie a cute ornament to the handle. As you enjoy these last few magical days of the Christmas season, I pray that you focus on the real reason for the season and soak up precious family time. I hope these get your creative juices flowing. It’s so easy to make things simple, so you can truly appreciate the special moments. Enjoyed the photos and terrific ideas you shared. The coasters were cool and thank you for reminding me about the reindeer treat. 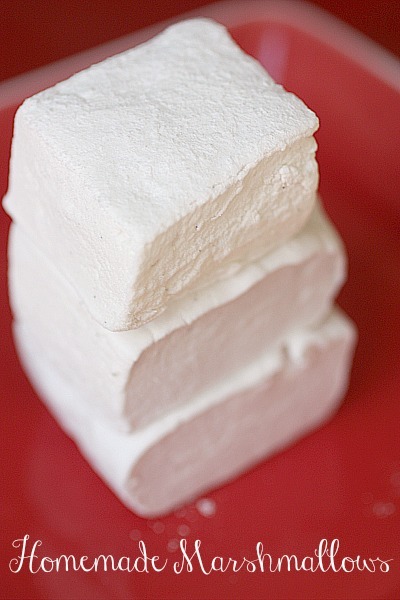 Homemade marshmallows…wow!!! What website or store site do you use to make your photo books? What is your process in creating one as far as organizing the photos you select to put in the book? What is a good size and number of pages for a book like that. I would like to make one of the books, but I am so overwhelmed with all the photos and choices and options to put the books together. I have an almost 3 yr old and a 19 month old and thousands of pictures!! Please share your advice on making this actually happen and not just being on the wish list. Thank you!